Bengal Tigers mentor Anis Sajan with coach Stephen Fleming. Bengal Tigers team mentor and Danube properties managing director Anis Sajan is a wiser man after the inaugural T10 edition last year. As he gears up for the second edition of the exciting tournament, Sajan said he made sure to pick only those players who were guaranteed to play in the tournament, unlike last year when he ended up losing out on six players. In 2017, the Bengal side were forced to manage without Bangladesh quick Mustafizur Rahman (absence of No Objection Certificate from Bangladesh board), Windies spinner Sunil Narine (personal reasons), Pakistan pacer Rumman Raeez (family issues), Pakistan Under19 player Hassan Khan (lack of NOC), Windies’ Rovman Powell (national selection) and Protea all-rounder Ryan McLaren. However this time, only Sri Lankan Kusal Perera (injury) and Pakistan big hitter Asif Ali (lack of NOC) are missing from the roster. And Sajan is glad he put availability first this time while picking players. “First year’s biggest experience was to ensure you pick those players who are available. Last year, six of my players dropped out. And they were big players. My goal was to ensure that if we pick someone like a Morne Morkel, we ensure with the player and his manager that he is available. 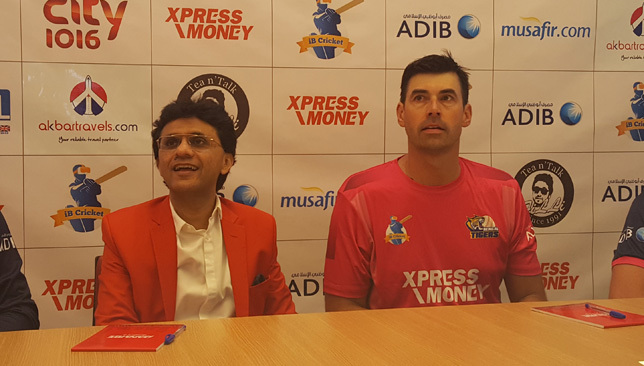 First year is always a learning experience, you try to learn from what teams did to win games,” Sajan said during a media interaction at Danube Properties outlet in Dubai before the second edition of the T10 league. The second edition of any tournament is when teams become smarter and make more calculated decisions. Sajan and Bengal Tigers were no different, putting more emphasis on roles rather than names with veteran coach Stephen Fleming on board. “When we decided to pick the teams, we had roles defined for players already. We had an idea why we wanted particular players. That made picking players in draft easy. I am happy to say that almost all the players that we had in mind, we were able to select. Every short-format league in the world is desperate for some Indian names but the BCCI simply doesn’t not allow any league outside the IPL to have a substantial Indian presence. So when T10 managed to sign eight well-known Indian names, including veteran pacer Zaheer Khan who will play for Bengal, it was a proud moment for the tournament. “No other league has Indian players. Addition of Indian names has lifted the league to another level. We have to wait and see in coming years how many more Indian players join,” Sajan stated. 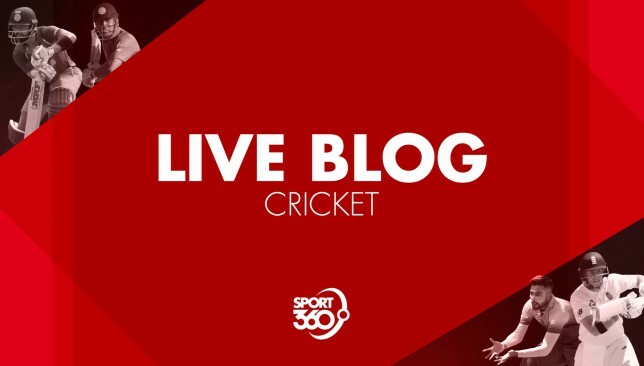 Welcome to Monday’s live cricket blog. We will be bringing you all the updates from the first Test between Pakistan and New Zealand as it nears its conclusion in Abu Dhabi. We will also be looking ahead to the three-match T20 series between Australia and India which gets underway on Wednesday. What a Test match that was at Abu Dhabi! 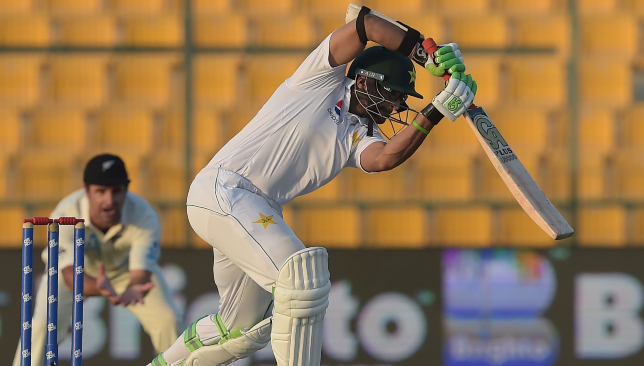 It is agony for Pakistan who fall just four runs short of the target with last man Azhar Ali dismissed by Ajaz Patel. 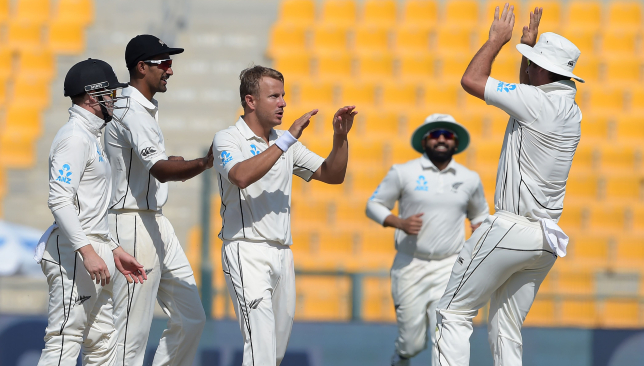 Pakistan were looking good for a comfortable win after a healthy stand between Azhar and Asad Shafiq but Neil Wagner and Patel struck back in fine fashion for the Kiwis who claimed a sensational win. Read more on this match in our report here. Stay tuned for the player ratings. Neil Wagner brought New Zealand back into the game. Play has gotten underway in day four of the opening Test between Pakistan and New Zealand and it has been an electric start. Resuming from their overnight score of 37-0, Pakistan lost three wickets inside two overs in the morning session as they attempt to chase down a target of 176 to win the match. Do not miss the live action from Abu Dhabi by following our ball-by-ball coverage here. Imam-ul-Haq fell to Ajaz Patel. As Australia and India get ready to lock horns in a three-match T20 series, we take a look at the three players each from both sides who will be worth keeping an eye on. Among them is India’s Rishabh Pant who has made a terrific start to life in international cricket. Read about him and the other players worth watching out for here. Rishabh Pant is primed to shine for India. The Zimbabwe star spoke to Sport360 at length about it all and his return to the Zimbabwe fold. Read what he had to say here. For the first time in over two decades, there will be no Joyce siblings representing either the men’s or women’s teams of Ireland. 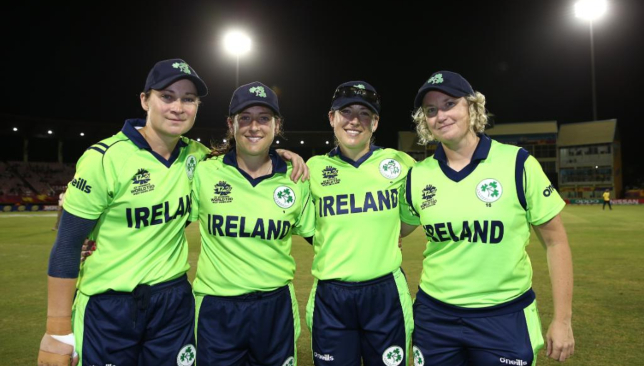 On Sunday, the Joyce twins Isobel and Cecelia announced their retirement from international cricket following Ireland women’s loss to their New Zealand counterparts in the ICC Women’s World Twenty20. Read more on what this means for Ireland Cricket here. The Joyce sisters (first and second from right). 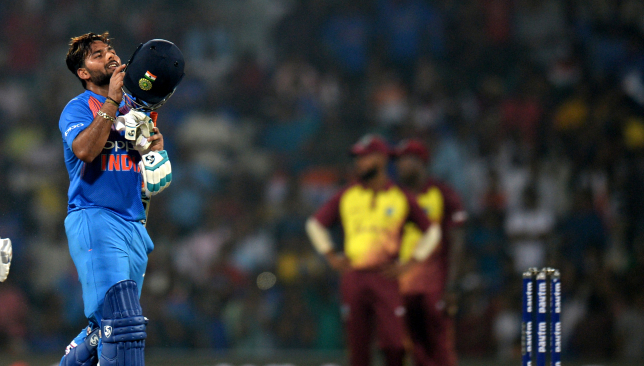 Image – ICC/Twitter. 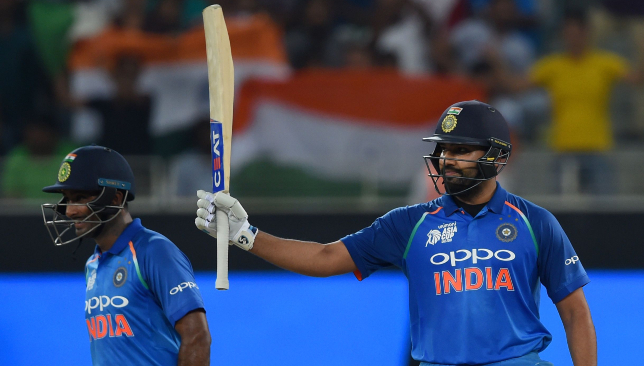 Australia batsman Glenn Maxwell believes it will be a difficult task for the hosts to contain India‘s Rohit Sharma in the upcoming T20 series between the two sides. The India deputy skipper comes into the series on the back of some outstanding form in limited-overs cricket which has seen him become the first batsman to register four international T20 tons. Read what Maxwell had to say about the India star here. Rohit Sharma is a man in form. 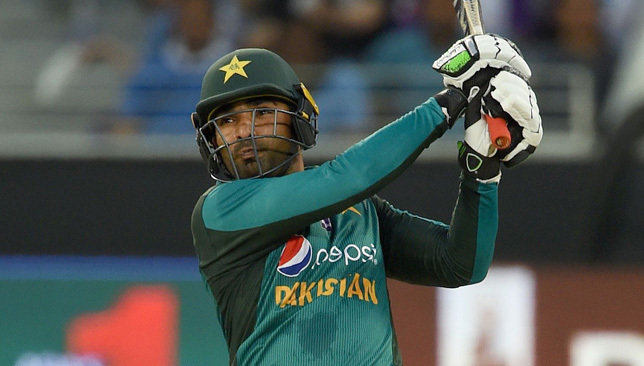 Pakistan batsman Asif Ali proved his hitting prowess in South Africa’s Mzansi Super League as he smashed 80 off just 33 balls for Cape Town Blitz on Sunday. 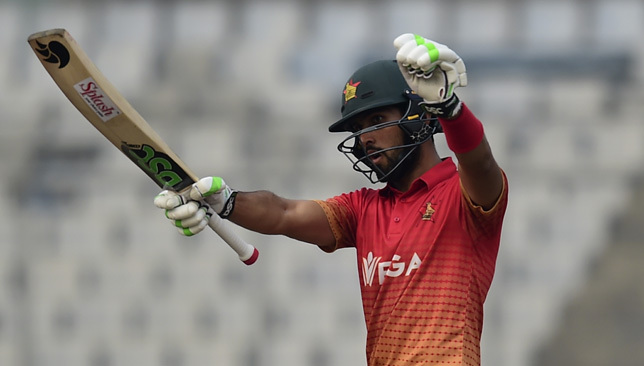 Ali hit seven fours and five sixes during his innings that helped Cape Town defeat Durban Heat by three wickets as they chased down the target of 158 with five balls to spare. Read more on this special effort from Asif here. 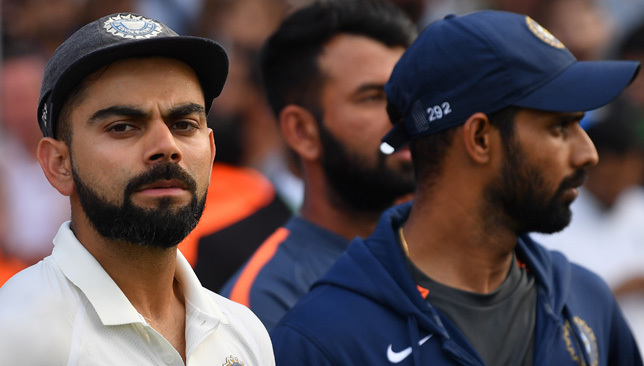 Australia fast bowler Pat Cummins does not believe India skipper Virat Kohli will manage to avoid verbal battles during the Indians’ tour Down Under. Before leaving for the full tour of Australia, Kohli had stated that he was not looking to get into confrontations. However, Cummins said he would be surprised if Kohli managed to stay quiet. Read Cummins’ quotes in full here. Pakistan were 139 runs away from victory as play got under way in the fourth day of their first Test against New Zealand at Abu Dhabi. However, Imam-ul-Haq fell early in the morning session with the Pakistan opener being rapped on the pads by Ajaz Patel. In the next over, Ish Sodhi got in on the act as he had Mohammad Hafeez caught by Colin de Grandhomme at cover. In the same over, Haris Sohail fell for just four runs after being caught by the bowler off his bowling. That dismissal reduced Pakistan to 48-3. Asad Shafiq and Azhar Ali then repaired the damage for Pakistan with a composed stand before the former fell for 45 to Neil Wagner. Babar Azam was then run-out before Sarfraz Ahmed fell to Patel. The danger bells started ringing for Pakistan as Bilal Asif and Yasir Shah fell cheaply too with the score at 155-8. It all came down to Azhar and last man Mohammad Abbas in the end but the former fell to Patel with Pakistan agonisingly four runs short of the target. On Sunday, Sarfraz Ahmed’s men had bowled out the Kiwis for 249 runs in their second innings with Yasir Shah and Hasan Ali both registering five-wicket hauls. Pakistan had earlier posted 227 runs in their first innings in reply to New Zealand’s total of 153. By the time stumps were drawn on day three, Pakistan openers Imam-ul-Haq and Mohammad Hafeez had added 37 runs without any loss in the second innings. Will Pakistan coast to a comfortable win to take an 1-0 lead in the series or will Kane Williamson’s men change the script? Do not miss the action from Abu Dhabi by following our ball-by-ball coverage below.